Guess what? I cooked lobster tails!!! This was my first time cooking lobster tails and it all happened because I saw a tweet from @sassyradish about a lobster roll she was making. I ♥ lobster rolls and have enjoyed them from a food truck and while on vacation in Boston. But I've never made one. The idea of boiling a whole lobster scares me. After all, I'm not even a huge fan of roasting a whole chicken. So when I saw lobster tails on sale for $3.99 at my grocery store I decided to buy two and make my own Lobster Tail Salad on a Roll. 1. 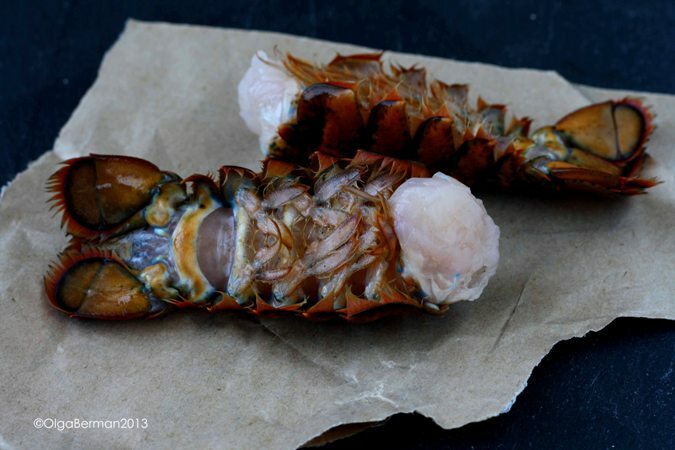 Boil lobster tails in slightly salted water until they turn bright orange, about 7 minutes. 2. 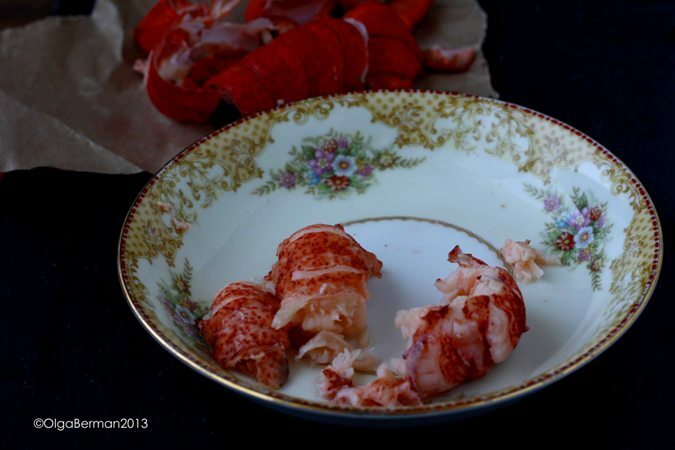 Let the lobster cool and remove the lobster meat from the shell. 3. 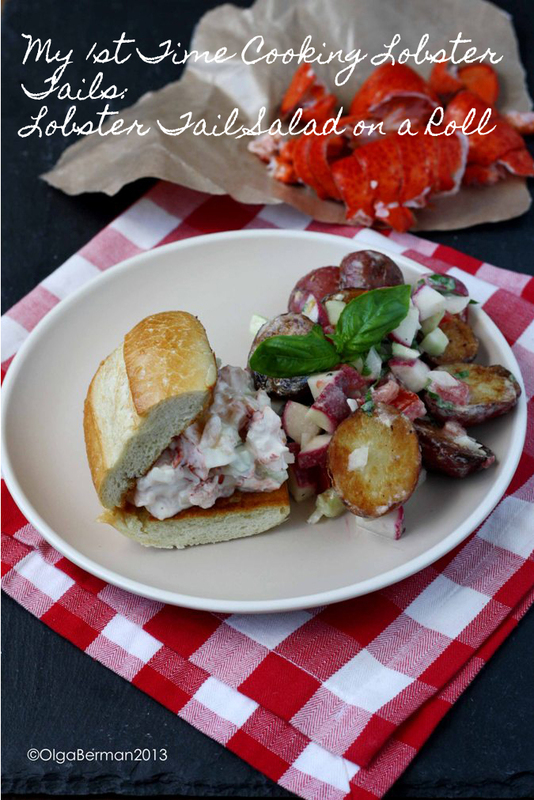 Chop the lobster tails into large chunks and mix with mayonnaise, chopped onions and cucumbers. Serve on a hot buttered and toasted roll. I served mine with a side of potato salad. I'll share the recipe for it next week. This was one of the simplest and most delicious meals I've ever made! I never knew you could just buy lobster tails. 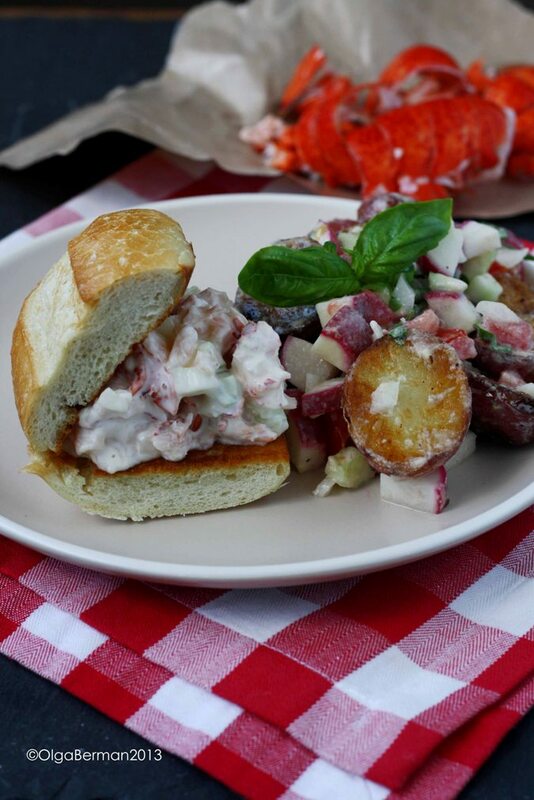 I'd make lobster rolls at home all the time if I could find those. P.S. Next time lose the mayo and pour hot melted butter on top. CT-style! 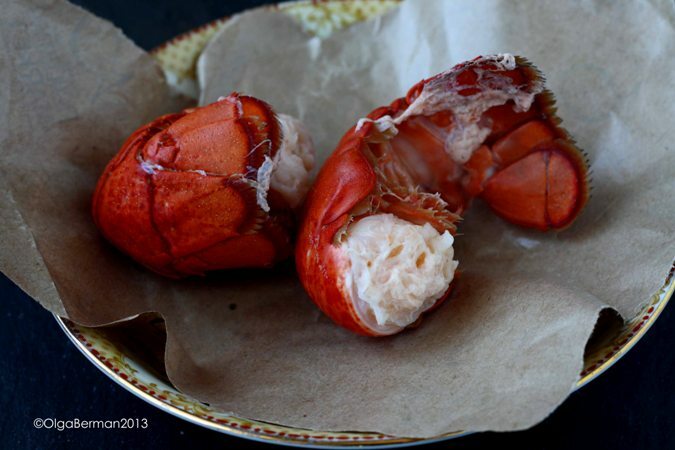 I boiled live lobsters once - it was, umm... an experience. The guilt still haunts me. I agree with Megan! 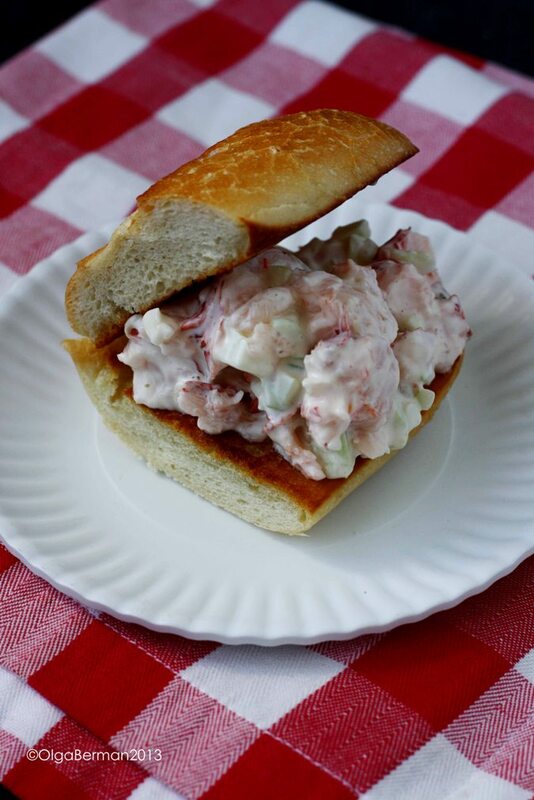 It may be by CT-born-and-raised bias speaking, but lobster rolls are much better with hot melted butter on top and served in buttered, toasted hot dog buns. Though yours looked absolutely delicious!